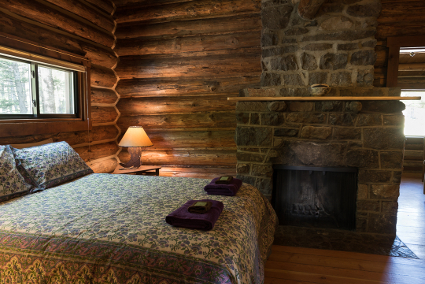 Our lodging options offer the finest in rustic comfort. 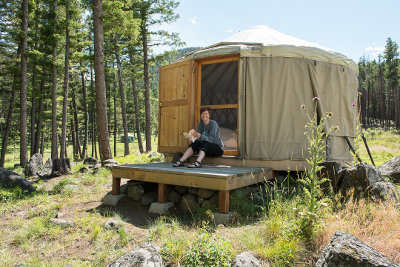 Indoor and outdoor choices include a variety of private or shared accommodations ranging from western-style chalet rooms and cabins to glamping favorites – deluxe wall tents, tipis and yurts nestled in the heart of the Montana Rocky Mountains. 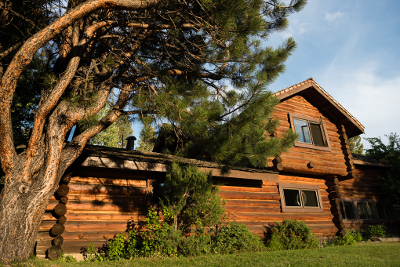 To help you select the accommodation that best suits you, please review the descriptions below and feel free to look at a Ranch map here to get a better idea of the layout of various lodging choices. Accommodations exclude massage and bodywork. Our massage and bodywork staff will greet and introduce themselves at orientation, right after dinner on arrival night. You may sign up for appointments then as their schedules for the week typically fill up quickly. 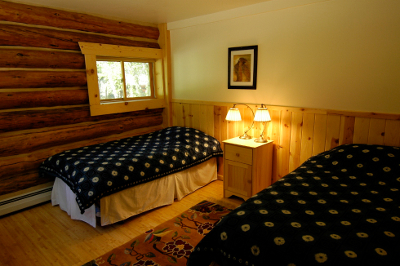 After that, you can saunter off to the sauna or the hot tub to relax and snuggle in to your lodging for the night knowing you have begun one of the most beautiful weeks possible. 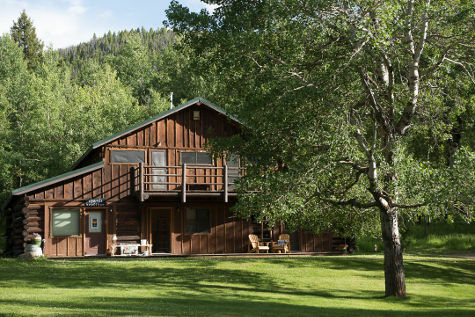 The chalet offers spectacular views of the Ranch overlooking the lake and the northern Rocky Mountains stretching beyond. 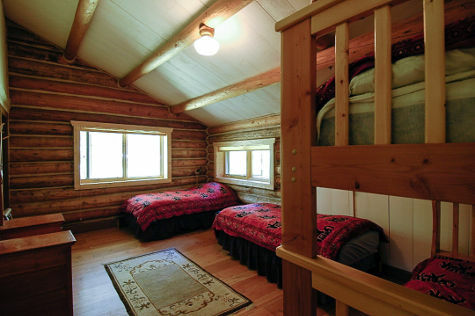 Rooms have been hand crafted with wood flooring, abundant soft lighting, wood-chinked, outer walls and baseboard heating for the rare occasions when the wondrous, Montana summer nights become too chilly for your comfort. 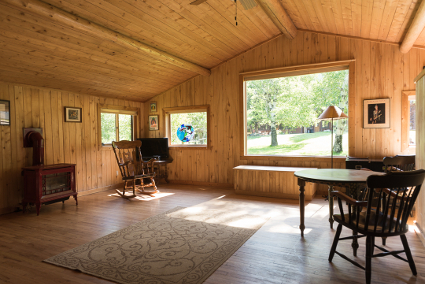 Private and shared bathrooms are available with a shared veranda for the upper floor and outer deck for the ground floor rooms. 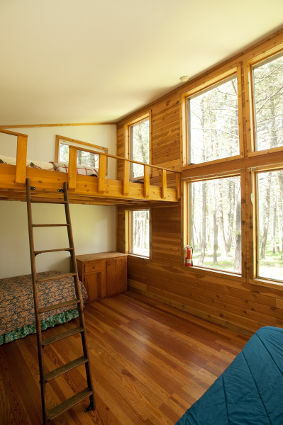 Up in the forest beyond Teachers’ Cabin, two more cabins are available for those who like being still more intimate to nature. 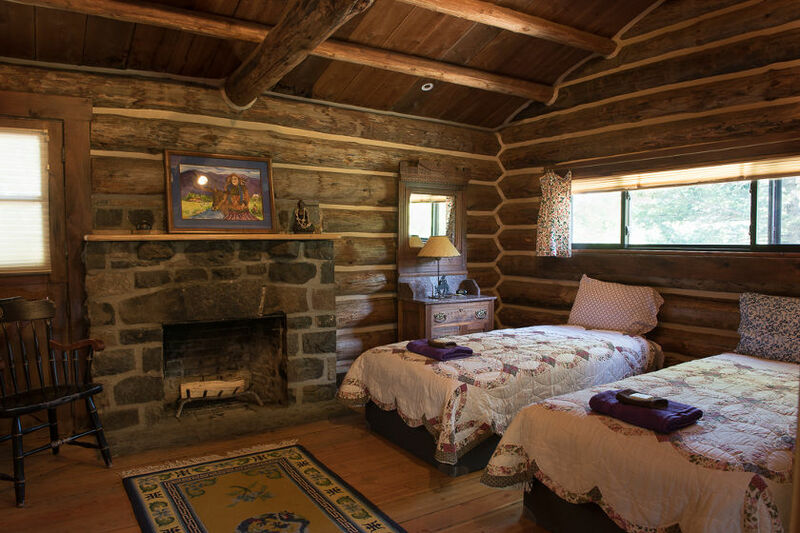 The Honeymoon Cabin offers a rustic ambiance with a front porch and room for two with a private bathroom. 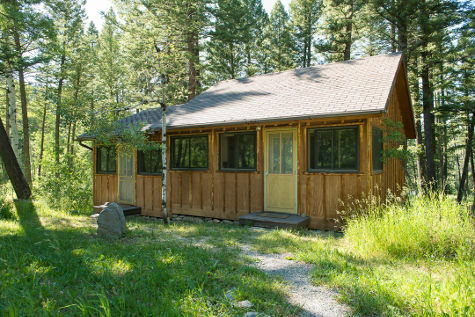 Its proximity to the bathhouse allows you to take full advantages of sauna, hot tub and restful, healing massage before snuggling in for the night. 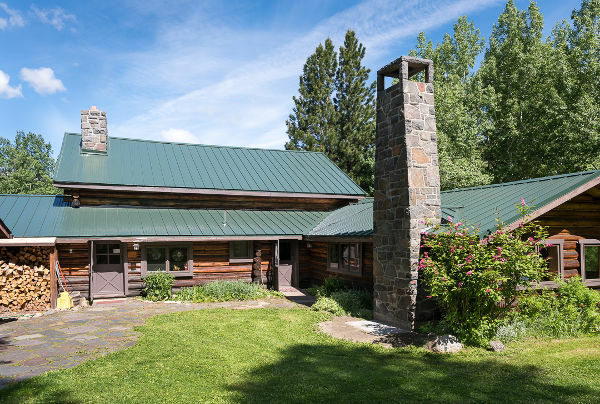 The main lodge has the character of western luxury of the last century with a huge, wood-beamed main hall and library with four adjoining spacious bedrooms. 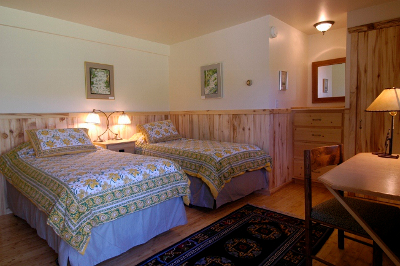 Each room sleeps three or four and has its own bathroom. 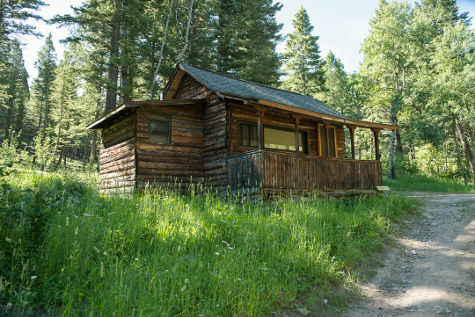 Staying in the main lodge has the advantages of immediate, 24-hour access to the main hall for personal early morning practice and close proximity to the Feathered Pipe kitchen and dining hall where our staff work their culinary magic. 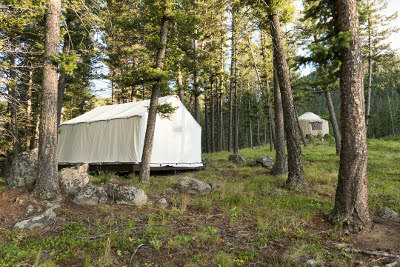 Experience Montana’s great outdoors in comfort! 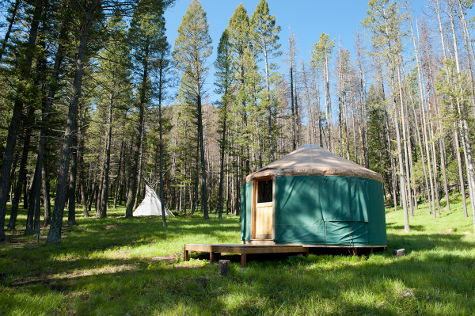 The most requested lodging at the Feathered Pipe Ranch without question is our yurt accommodations, and for good reason. 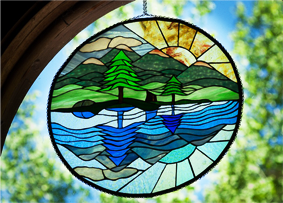 With large, glass domes located at the center of the lattice-supported, canvas ceiling, brilliant, warm sunlight pours in during the day and offers a breathtaking view of the starry, starry sky at night. Nothing compares! 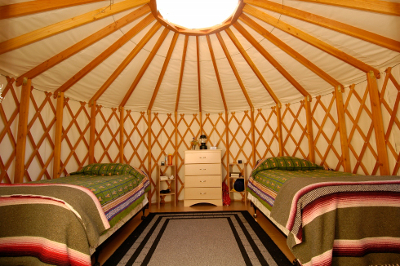 Our yurts can sleep two and feature raised wood flooring and an interior sealed from the external elements. 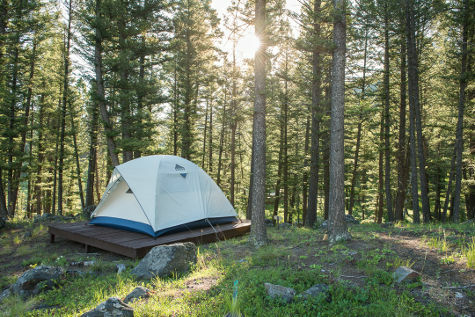 Glamping at it’s finest – our wall tents will make you feel like royalty while lounging in the great outdoors of Montana’s Rocky Mountains. 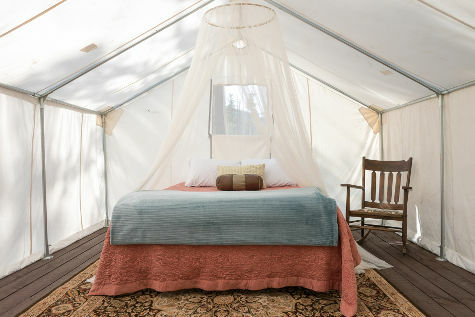 Our lovingly-appointed wall tents are more than just a great shelter for getting a good night’s sleep – they’re unique, roomy outdoor living spaces that offer a relaxing oasis for savoring fresh air and solitude. Our tipi dwellers love falling to sleep on elevated cots inside toasty sleeping bags while gazing at the myriad sparkling stars spread across the crystal clear night sky and waking to a cathedral of bird songs welcoming in the new day. 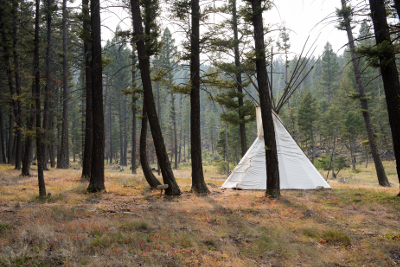 True, intimate connection with nature can be experienced in tipi living; it’s clear why the Plains Indian tribes developed this perfect nomadic dwelling. 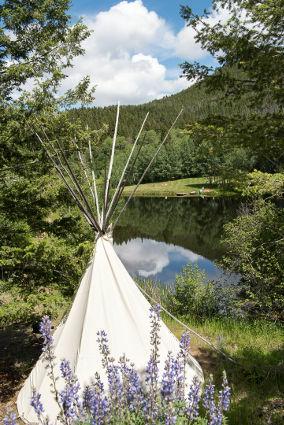 Our tipis offer you an open “eye to the sky” with canvas walls that shift color, light and shadow during daylight. 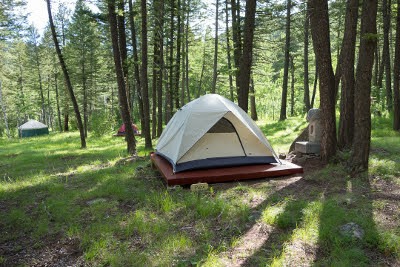 Tent accommodations as well are hidden amidst the trees for those who truly want solitude to “rough it,” the comfortable Feathered Pipe way in the Montana great outdoors. 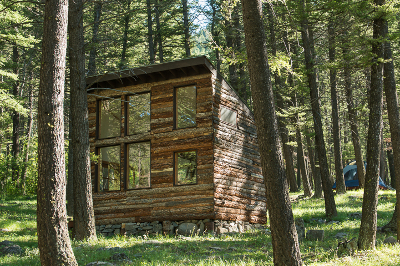 “Roughing it” includes full access to the nearby bathhouse with its fragrant cedar wood, the warmth of the sauna, and soothing bliss inside our sparkling hot tub. 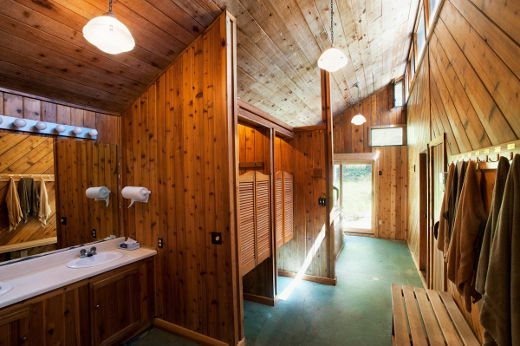 Your stay at the Feathered Pipe Ranch includes access to our extensive grounds, our fully-equipped bath house with showers, sauna, and a beautiful new hot tub. While you’re at the Ranch, you’ll also have access to extraordinary hiking on and surrounding our beautiful grounds. 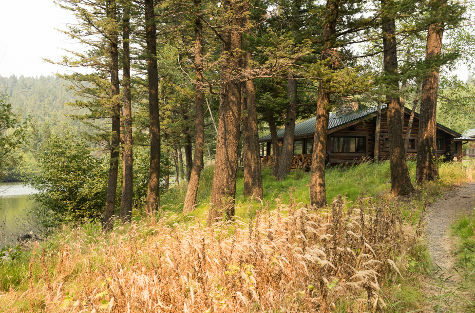 A spring-fed lake sits at the heart of the property and lots of guests love to spend time lounging, boating, or swimming in the fresh mountain water. Massage and Bodywork are offered for an extra fee. 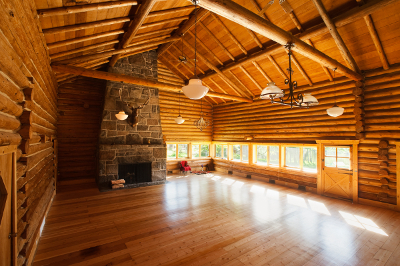 Our practitioners offer a broad range of modalities that support our guests as they to dive into deep states of relaxation, stress relief, and healing to enrich their overall Feathered Pipe experience.